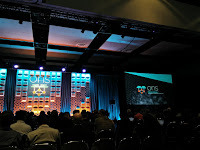 The Open Networking Summit took place on April 3-6 – where Enterprise, Cloud and Service Providers gathered in Santa Clara, California to share insights, highlight innovation and discuss the future of open source networking. I was invited to give a talk about Web Virtual Reality and aframe at it. 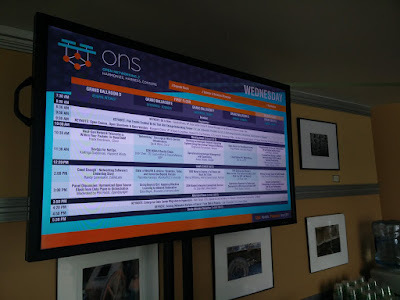 So, Open Networking Summit (ONS) actually consists of two events – there might be more, but I was involved with two. ONS is the big event itself. There is also the Symposium on SDN Research (SOSR). 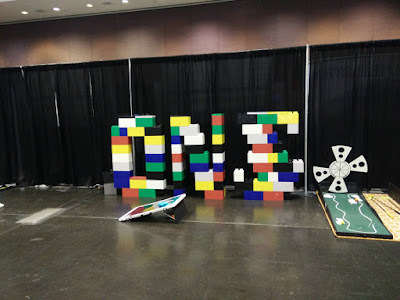 This is an academic conference that accepts papers. There were some pretty fantastic papers at the conference. My favorite one – there was a system called “NEAt: Network Error Auto-Correct”. The idea here is that the system keeps track of what’s going on with your network and notices problems and automatically corrects them. It was designed for an SDN setup where you have a controller that is responding to changes in the network and telling systems what to do. 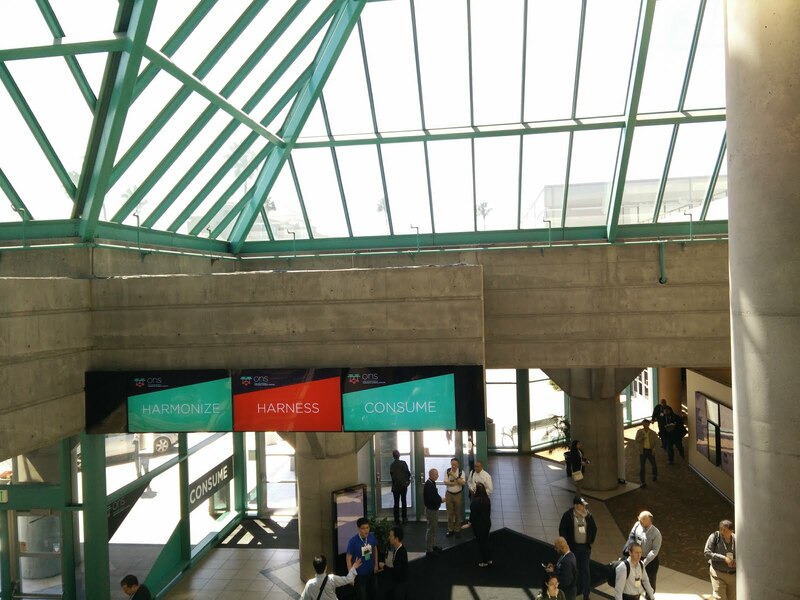 The event was held at San Jose Convention center and was pretty packed up. 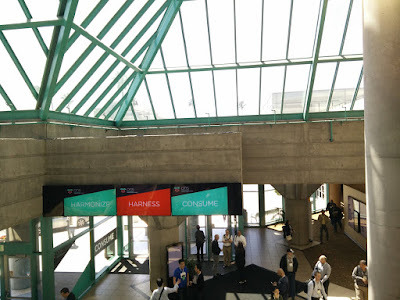 Keynotes were sprawled across the first floor with a very big auditorium that encompassed the whole of the first floor. The individual talks were assigned different rooms on the two floors. Poster sessions were held on the second floor near another hall where the accompanying talks with the poster were going on. The talks were not recorded. I had roughly 35 people in my talk and that was a pretty perfect number of audience to have without being too overwhelmed. I frankly received quite a lot of interest in the talk and questions regarding it. The questions mostly were involving authoring tool for WebVR and about how we can create scene's that can interact with industrial hardware. Something that urged me to work on some pet projects I will write on later about. What do you think about how networking and industry can merge with WebVR and VR in general? Let me know by comments or tweeter. I will be posting soon my take on it with a few live example and demos.